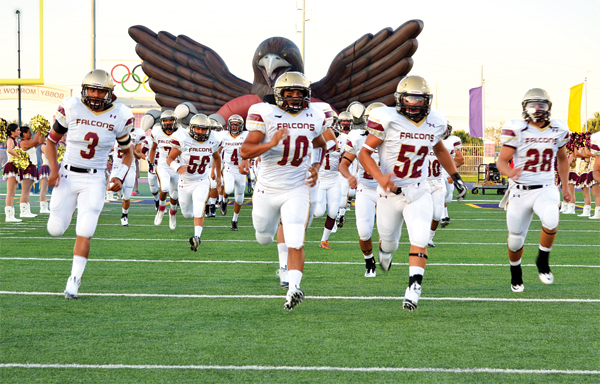 Tickets for the Falcons’ 2018 season are on sale at the Los Fresnos High School Athletics Office. For renewals of tickets by 2018 season ticket holders, tickets for home games may also be purchased July 23-27 in person at LFHS online through this link. New season ticket holders may purchase tickets from July 30 to August 2. Season tickets for five home games will cost $40. During the season ticket renewal period, only season tickets from last year’s location may be renewed. Individual tickets for the five Falcon home games each week during the regular season. For the Falcon season schedule, click here. For more information, contact the LFHS Athletics Office at 956-254-5353.